Goa is famous for its parties and golden beaches but if you visit Goa as often as I you’d need a break from the salt water routine, you can set out to discover beautiful places such as the Kesarval Waterfalls. 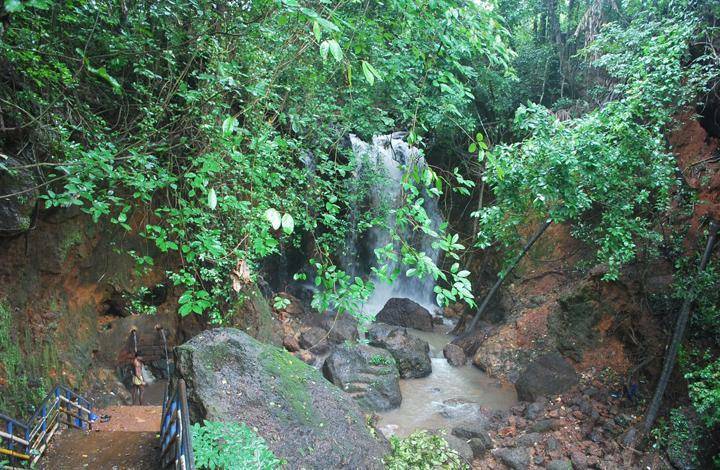 Goa is blessed with a high number of natural splendors, this waterfalls being one of its best. It is filled with sparkling water and the music of the tropical birds, surrounded by woodlands and swaying betel palms. It is believed that the water here is of therapeutic nature and that one dip can cure us of all body ailments. This spring is glorious during the Monsoons and is less that 25km from the capital city, Panaji. Suitable trekking shoes are recommended as it is often quite slippery around the waterfall. The only way to reach this spring is by using the zigzag track of stairs that were built many years ago.